Used At Your Own Risk! I have Just Released this new book! which you can download in pdf format. Over the years I have found a need for videos which clearly explain the construction of various tools and techniques related to blacksmithing. Many people have added to the available knowledge base through video. My intent is provide a video which gives clear instructions on its particular topic. The videos are not created by a professional videographer but by myself. The videos will be on various topics and new titles will be added as I have time to create them. I accept PayPal and Visa as a telephone order. If you have any questions you can reach me by email. Please note that pricing includes the appropriate taxes. 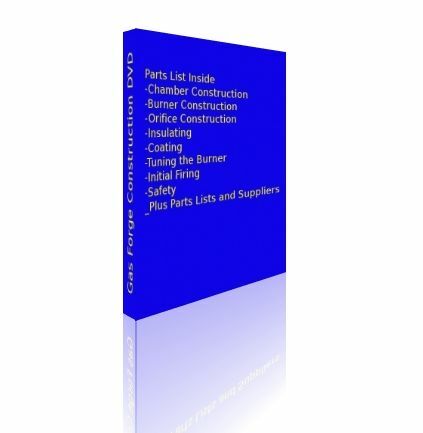 also describes how to alter the plans to create a different style of forge or a multi-burner forge. 2 hours and 16 minutes long and packed with information. I have been using a modified version of this forge in my shop for 10 years now. This video contains all the information to make a propane gas fired forge. 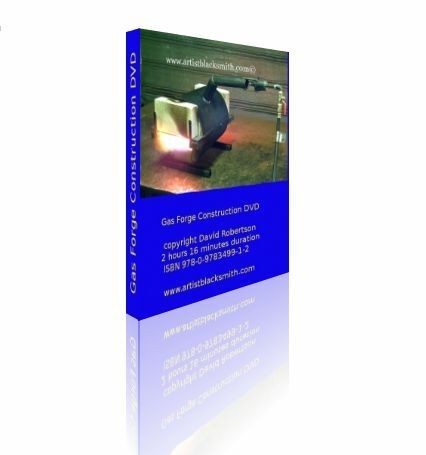 This downloadable ebook contains all the information that the dvd does plus it describes in detail the construction of a second type of forge. With 83 pages of step by step photos, it leads you through full construction of the two forges. The advantage of the ebook is you can download it immediately after paying and there are no shipping charges! It depends if you learn best from a dvd or if you are the type of person who likes to read step by step instructions. You can also print out the ebook and use it in the shop as you build your forge. 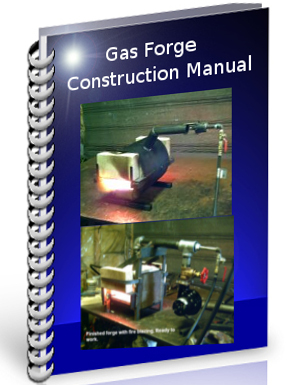 For more information on the ebook just click on Gas Forge Construction Manual.